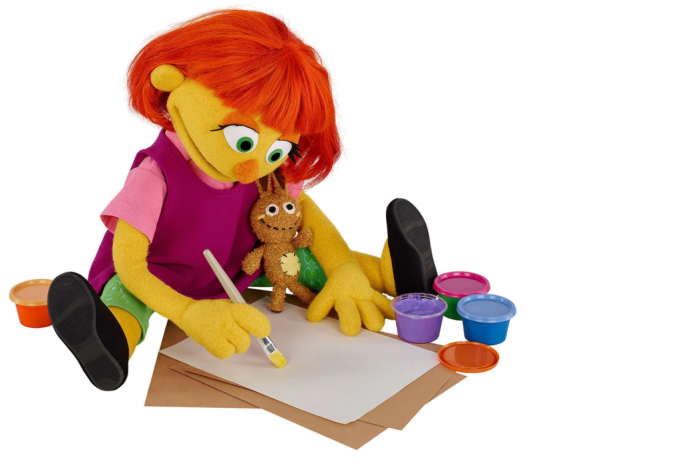 Sesame Street is introducing a new Muppet to its cast, and she is unlike any Muppet they have had before. Her name is Julia, and she has autism. The character was introduced online in 2015, but will now become a regular on the television show. Rachel Rosner, the director of education and support services at Rochester-based Autism Up, said introducing a character with autism is a huge step forward for the show — and for raising awareness. “As a parent of two kids with autism, I’m thrilled that there’s finally a character with autism on Sesame Street,” Rosner said. “There have been other characters with autism or other disabilities portrayed on TV, but nothing for the preschool set, so I think this is great. Rosner said that while Julia is a welcome addition, it’s the way the show will be treating her character that is most important. Julia will make her first appearance on the show on Monday, April 10, 2017. Your family can watch on WSKG-TV at 10:30am and 1:00pm. For information on the full initiative, Sesame Street and Autism: See Amazing in all Children, click here. Want to know more about the character’s evolution? We also recommend this NPR story by David Folkenflik.